Spring is the time for pampering your skin, including a trip to a spa for a facial complete with fresh cucumbers and a relaxing face massage. But what about a microneedling facial? Recently, there has been a lot of hype surrounding microneedling facials. But the first thing you should do is get that image of you lying in a dark room with cucumbers on your eyes out of your head. While microneedling is a procedure that will help you prepare for summer, it’s not the same at that relaxing facial. That is why we are here to help you know what to expect during and after your microneedling facial. Before scheduling an appointment for microneedling, make sure you understand what benefits the procedure can provide for your skin. 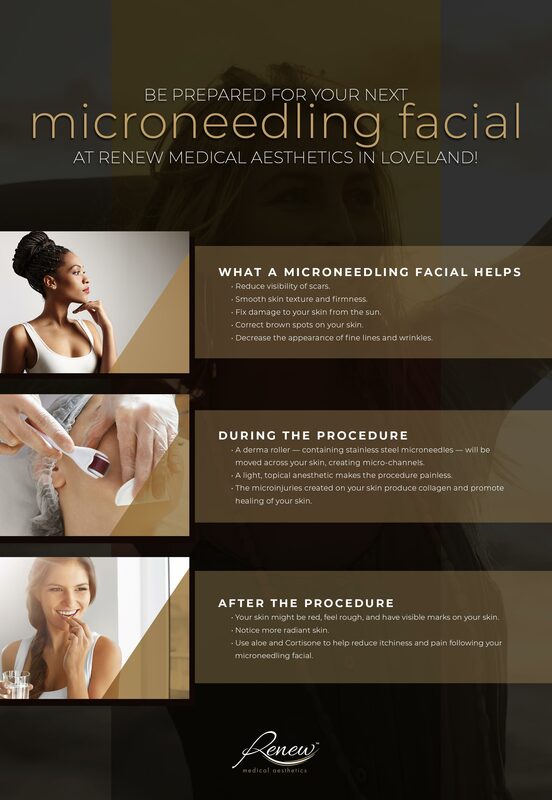 At Renew Medical Aesthetics in Loveland, we have a highly-skilled team that can help you achieve younger-looking skin with our microneedling procedure. Contact us today to schedule your first (or next) microneedling facial! Microneedling uses hypodermic needles to puncture the surface of the skin, which helps trigger rejuvenation by letting your skin heal. Essentially, this procedure creates a controlled injury, stimulating hair follicles that were dormant and allowing your skin to heal into healthier and smoother looking skin. These microneedles are part of tool called a derma roller which contains tiny stainless steel needles that can be used to create those microinjuries on your skin. At your procedure, the derma roller will allow the microneedles to puncture the skin, creating micro-channels on your skin. This process encourages your skin to release collagens and begin healing and repairing. Don’t let this talk of microneedles make you nervous, however! Most cosmeticians will apply a topical anesthetic so you don’t feel the derma roller on your skin. 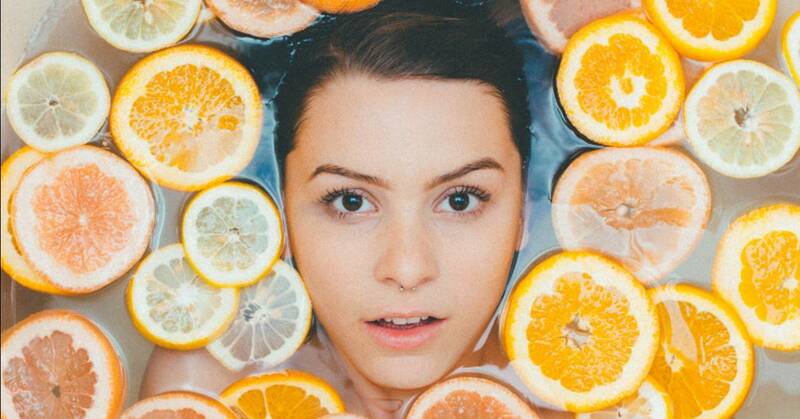 The long term effects of a microneedling facial, including your open pores and smoother skin, make this a great way to help improve the health of your skin. As we mentioned earlier, microneedling is still a procedure. This means that immediately after your appointment, you will notice that your skin is red and might feel rough to the touch with visible marks across your skin. This is normal! Longer-term, microneedling can also cause you to breakout due to the irritation on your skin. But experiencing these signs right after your microneedling facial doesn’t mean you won’t see results! Following your microneedling facial, you will experience a radiance in your skin as it works on healing the microinjuries created by the derma roller. For the best results, just make sure you are gentle with your face following your microneedling facial. Applying different products, on your face too soon can increase your chances of breaking out. Avoid products that are corrective or exfoliate and avoid wearing makeup immediately following your procedure. Instead, if your skin feels raw or itchy, a cream like Cortisone or aloe can help provide relief for your skin. Being prepared for your microneedling facial will help give you the best results. Once you know that a microneedling facial is right for you and your skin, choose Renew Medical Aesthetics in Loveland and schedule a consultation with our of our expert cosmeticians.